Louis’ group at pre-school has suddenly become really interested in the alphabet. Most of these kids are just between two and three years old but they’re really into it. 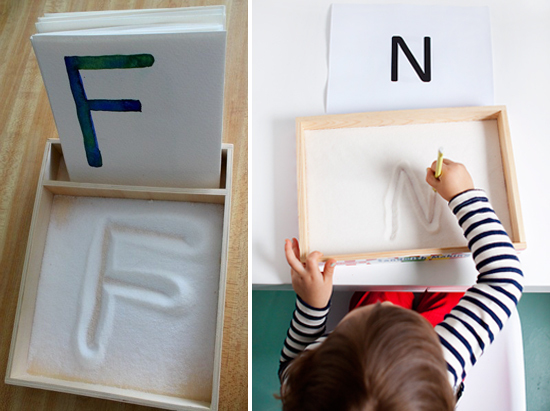 Sand trays are a classic montessori tool for practicing letters. A great way to use to them is to start with just tracing shapes, like a wave, or a zigzag. The tray on the left is a salt tray. I like that there is a slot for the letter (or shape) the child is practicing. The tray on the right is a sugar tray. Another great way to practice letters is tracing them with your fingers. 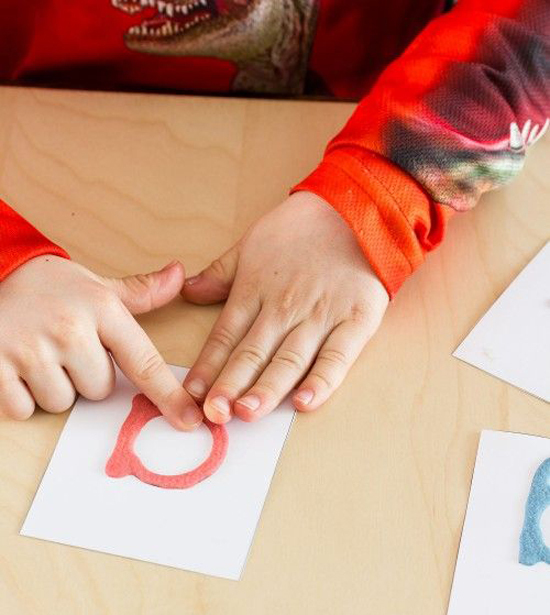 Sandpaper letters are a common Montessori tool. These ones are made with puffy paint, and since I recently made my own DIY puffy paint, I’d love to make these for the kids. An alphabet museum is a great way to learn letters. It’s so hands-on. 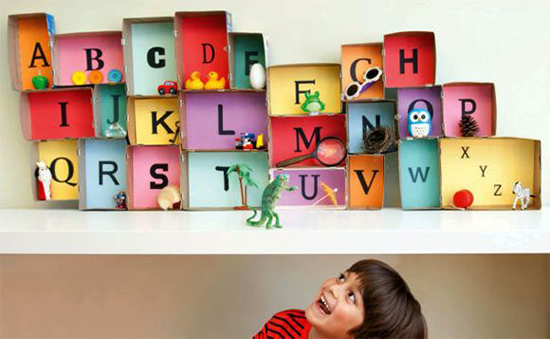 Up top is a Montessori sound object box and below is a much simpler diy alphabet museum. I would love to make one like that with the boys. 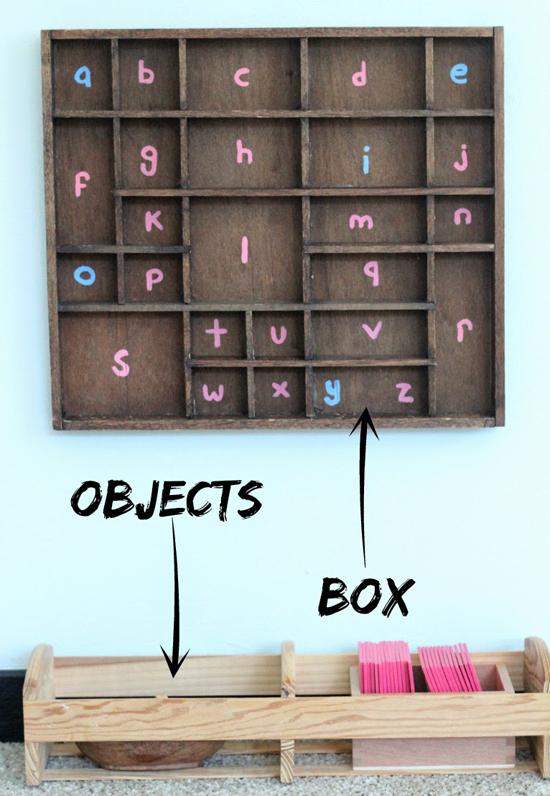 For more on how to work with a Montessori alphabet box, see here. 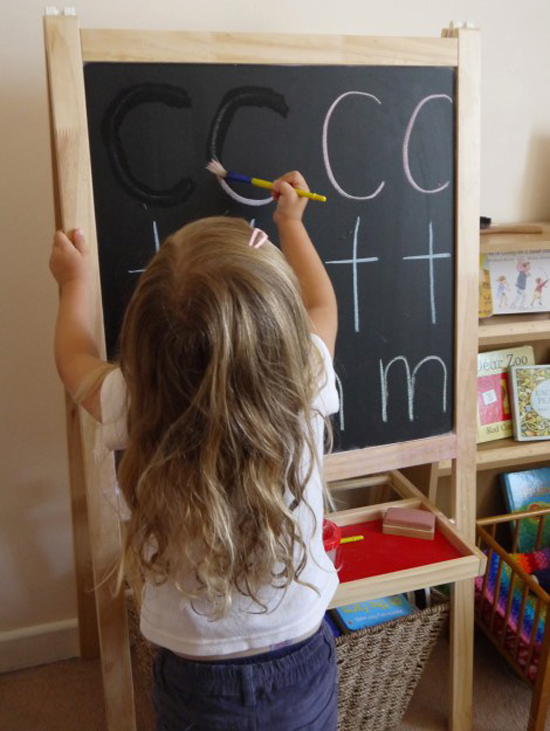 I think “erasing” letters on a chalkboard with water is a great way to playfully get small children to practice tracing letters. Did I miss any great learning tools that you’d recommend? How did your children learn their letters? 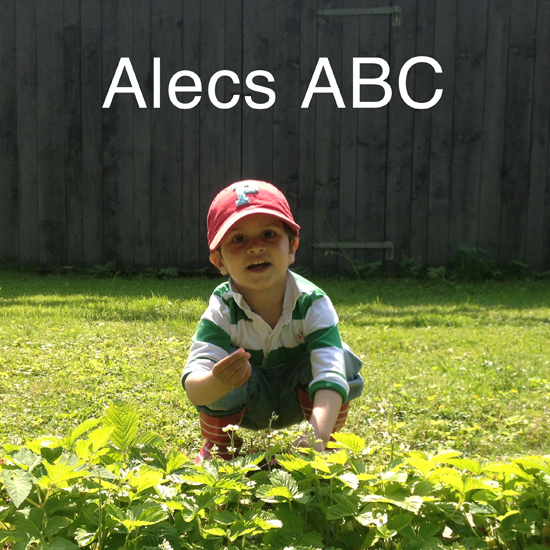 The photo at the top is the cover of Alec’s ABC book that we made for him a year ago. Maybe it’s time to make one for Louis now!